We've had a busy past few days full of fun celebrations! This past weekend was First Communion for our Goddaughter and during this week we also celebrated our oldest daughter turning 14! 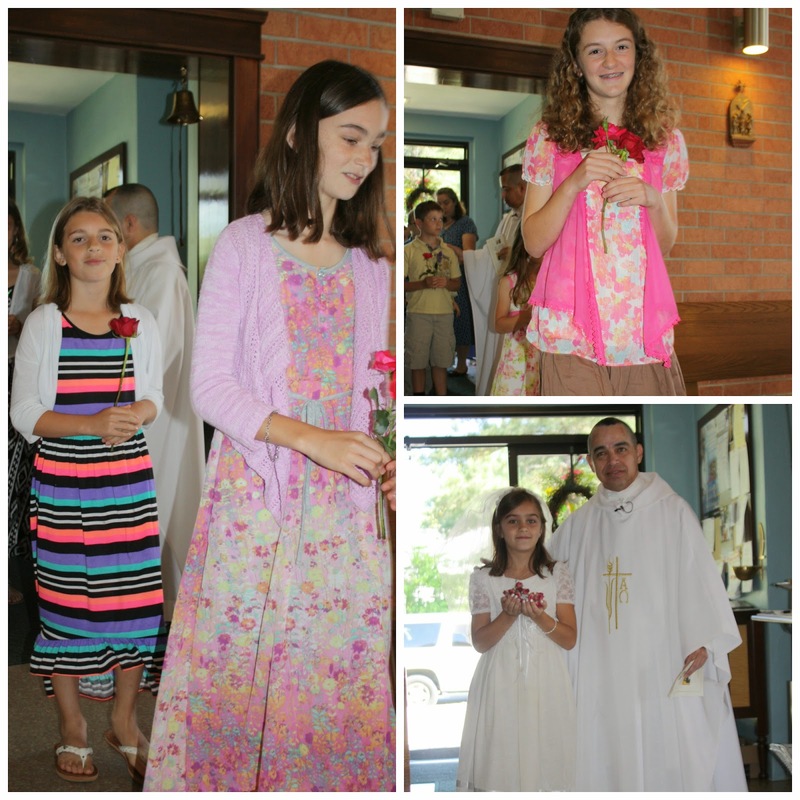 On Saturday, May 16, 2014, our homeschool group celebrated a First Holy Communion Mass for four children in our homeschool group and one of these special first communicants was our Goddaughter. My husband and I are blessed to have such a special gal for a Goddaughter, who we have always and will always continue to keep her in prayer. 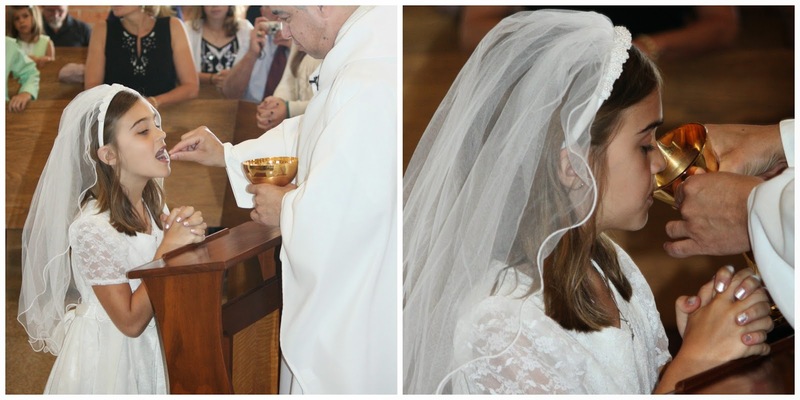 We were also blessed to celebrate this special day with her family and friends as she continues on her faith journey. 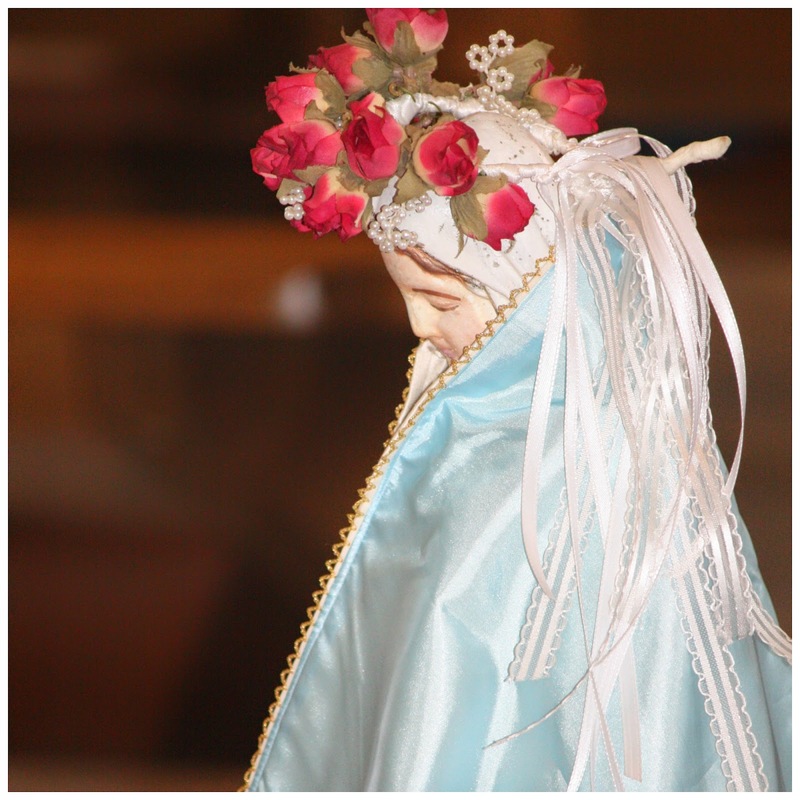 At the beginning of the Mass, the first communicants and their friends processed down the aisle with fresh flowers to place in vases in front of our Blessed Mother and then our Goddaughter placed a beautiful flower crown on Mary's statue. Here is our Goddaughter receiving the Precious Body and Blood for the first time. Now as they were eating, Jesus took bread, and blessed, and broke it, and gave it to the disciples and said, "Take, eat; this is my body." And he took a cup, and when he had given thanks he gave it to them, saying, "Drink of it, all of you; for this is my blood of the covenant, which is poured out for many for the forgiveness of sins. 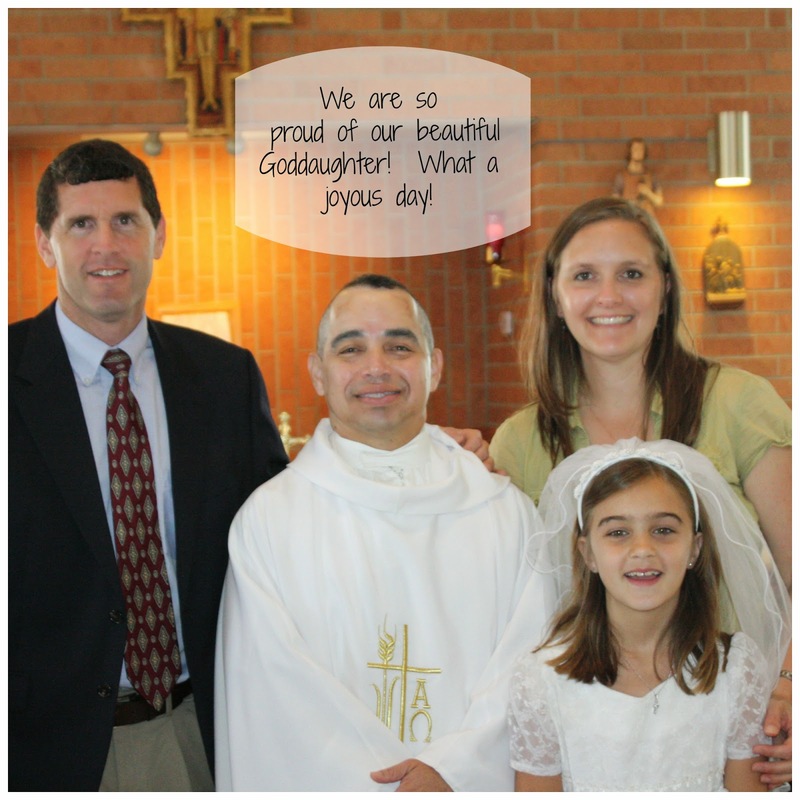 It was such beautiful Mass and day! Our family was so happy to celebrate with our Goddaughter, family, and friends! M.R.H., may you always stay close to Jesus and His Church and continue to receive the sacraments with much love, faith, hope, and joy! 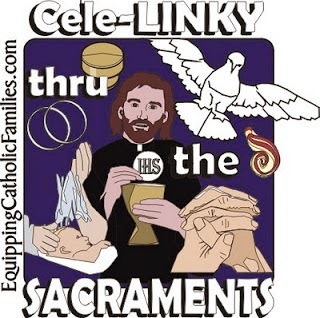 To see other First Communion Celebrations, be sure to visit HERE at "Sacraments Cele-LINKY" where I linked up this post! 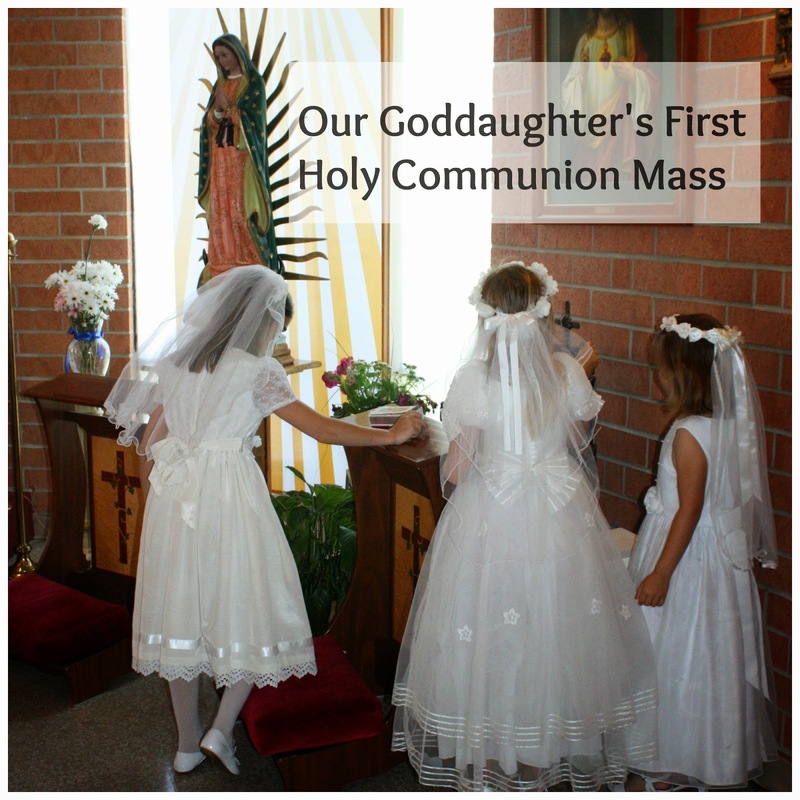 First Holy Communion on your blog, so we could be there in spirit, if not in body. The pictures were beautiful and made us feel as if we were there, (which we wish we could have been). 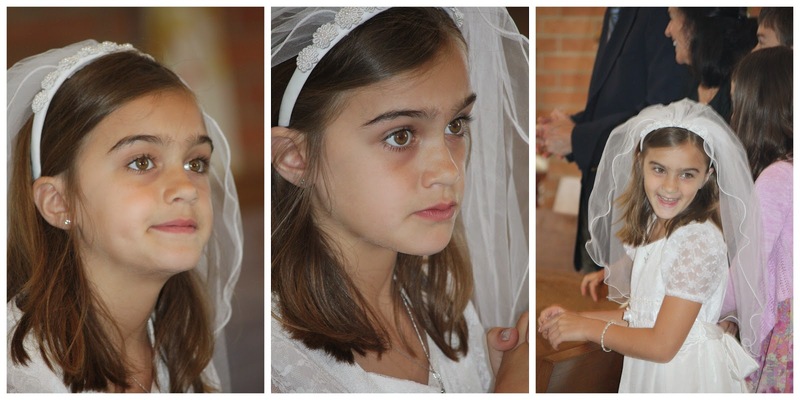 It was so sweet of you to put MARIA's First Holy Communion on your blog. The pictures were beautiful and made us feel as if we were there with her ( which we wish we could have been). 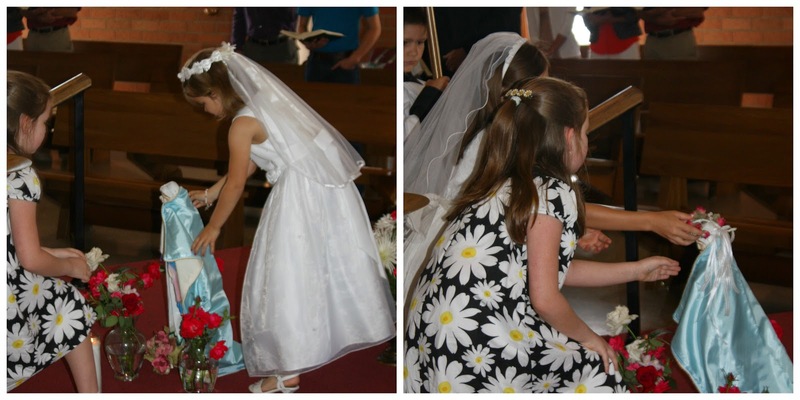 She looks so sweet and we will always pray that she stays close to Jesus as she was on that special day.